No less than Blake Shelton predicted that Filipino singer Jej Vinson could become the winner of “The Voice” Season 16. 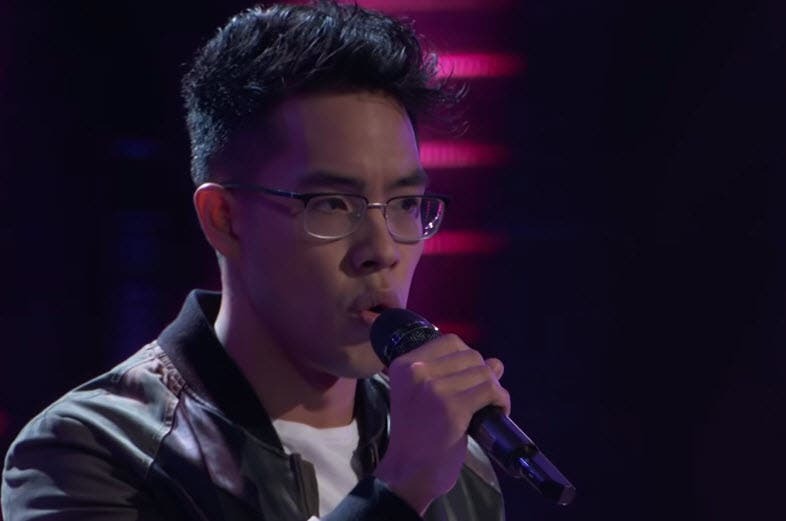 In case you missed it, Jej trended on YouTube USA last week because of his incredible audition on the 16th season of “The Voice” which made the judges Kelly Clarkson, Adam Levine, John Legend, and Blake hell-bent to get him on their teams. The Filipino singer sang a different version of Drake’s “Passion Fruit” which he himself has arranged. Legend noticed it. “That is like a wild, inspired song choice because Drake is kinda monotone normally and I was worried that you would stay in that little zone but then you soared, you showed us this really precise, beautiful runs,” he said. Blake, on the other hand, made the biggest pitch this season so far by predicting that Jej would become the winner. “You know everybody here is probably a little bit nervous talking to you right now. We all thought that we’re looking at the winner of The Voice this season,” he said. Too early to celebrate the ilussion.